I was searching on how to increase the head weight of a racket and came across this product and came to know about this LT-6 Powerizer product from Victor site. These are basically lead weights in thin strips suitable for a badminton racket. It was not available in any stores in Bangalore, India. A bit of search took me to STAG India site who is the distributor for Victor products in India. I got in touch with a person at STAG and was able to get a packet of LT-6 Powerizer from them. Folks at STAG were helpful during my purchase. Price of a packet was around Rs.400/-. I bought it in second half of 2013. Later I added weights at 3 O' Clock and 9 O' Clock position. This is when I felt the drag of the racket impacting my game. I do not have a strong arm so that could be the reason why it impacted my game. Based on my experimentation I feel that just having it at 2 O' Clock and 10 O' clock would be best to increase the power. 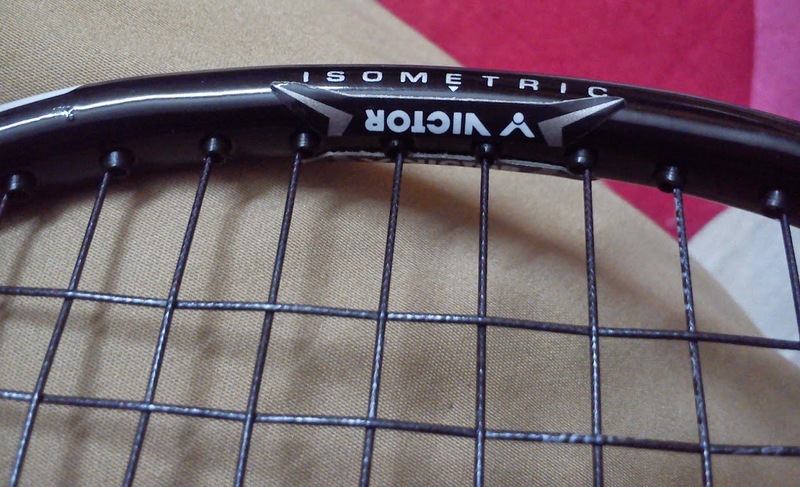 It is best to have the stickers on either sides of the racket. 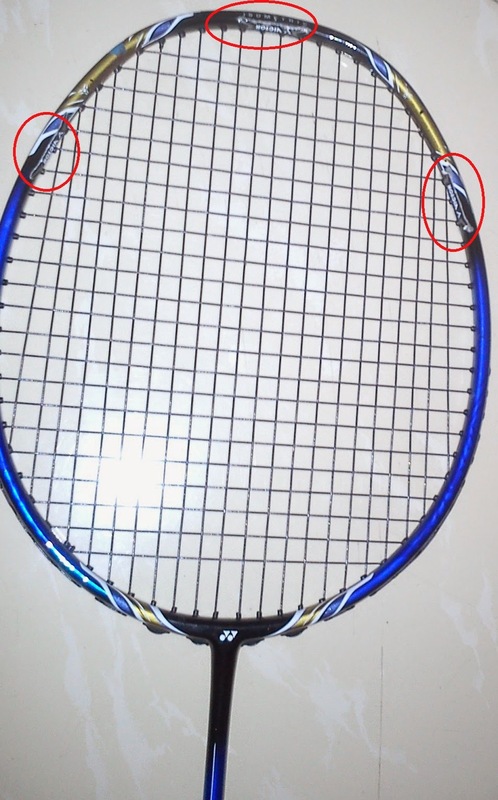 For example, if you are pasting the sticker at 3 and 9 O' Clock position, please stick it on both sides of the racket at 3 and 9 O' clock position. Note: I have seen this product available on ebay, but they do not ship to India. You should be able to get it via Victor India. Sorry for the delay in replying, I did not get an alert of your comment. Great to know that you have BSs. Do you have the LYD edition?